At first glance, the Bluez 2S look like your average wraparound headphones. If I didn’t know beforehand, I would have assumed the transducers were normal speakers that rested atop your ears. The left transducer contains the multi-function button. The underside of the Bluez 2S contain the volume buttons, the charging port, the power button, and the LED indicator. The only issue I took with the design was the placement of the volume and power buttons. Instead of placing them on the underside of the Bluez 2S, I think it would be better if they were on the side or on the other transducer. With the current placement, you’re required to have a firm grip on the headphones to push on the buttons without accidentally moving the headset. If the buttons were on the side, your head would naturally prevent the headphones from moving when you pushed the buttons. As with all Bluetooth devices, the first step is pairing the headphones with your phone. This was simple; with the headphones turned off, you simply hold the power button for 5 seconds. Next you select the Bluez 2S from your phone’s Bluetooth menu. After paring the headphones, you put them on. This is where your realize these aren’t your typical headphones. Instead of the having speakers over your ears, the Bluez 2S rest on the bone in front of your ears. I found the Bluez to be very comfortable and after a few moments, almost forgot they were there. Once you start streaming music, the multi-function button plays and pauses audio when pressed once; the Bluez 2S skips to the next track with two clicks. Supposedly, you can change EQ settings by holding down the multi-function button for 2 seconds, but every time I tried, it started the voice dial function. If you receive a call while streaming audio, you can answer it by pressing the multi-function button once or reject it by holding the multi-function button for 2 seconds. If you do answer the call, you can mute it by simultaneously pressing the volume up and down buttons. If you have a rather large thumb this is easy, but the rest of the us are forced to contort our wrists to press both buttons at once. When you’re ready to end your call, you can do so by pressing the multi-function button once. When not already in a call, holding the multi-function button for 2 seconds launches voice dial, while pressing it twice redials your last call. Enough about the buttons though, the real question is how do the Bluez 2S fit? As I said before, the biggest issue with my other headphones is that the earbuds are always falling out. The Bluez 2S one hundred percent solves this problem. I used the headphones while running on my elliptical and while mowing my lawn. The transducers never slid out of place, even after working up a nice sweat. Even when bending over, the transducers never budged. I also came to love the fact there is no cord on the Bluez 2S. You don’t have to untangle any cords before putting them on or worry about them getting caught on anything when working out. Another great thing about not using earbuds, I could wear the Bluez 2S all day and be pain free. Maybe it’s just me, but if I wear earbuds for a significant amount of time, I find my ears begin to hurt from having the buds jammed in there. I know some companies sell various sized plugs to combat this, but it’s an issue you never have to worry about with the Bluez 2S. Perhaps most importantly, sweat didn’t affect the performance of the Bluez 2S at all. I managed to work up a decent sweat several times while testing the headphones; at no time did I experience any issues. I’d imagine the Bluez 2S could also survive a light rain if you found yourself in one, but AftersShokz doesn’t provide an ingress protection rating so I can’t be certain. Eventually, I became accustomed to the Bluez 2S and found the sound quality to be very good. Audio was generally crisp and clear; however, at times I found it a bit “scratchy”. Also, if a movie had an explosion or a song was bass heavy, the sound would occasionally be distorted. Call quality was very good as well. I had no difficulty understanding the caller and they had no difficulty understanding me. The only issue I had with the sound isn’t technically a sound issue. 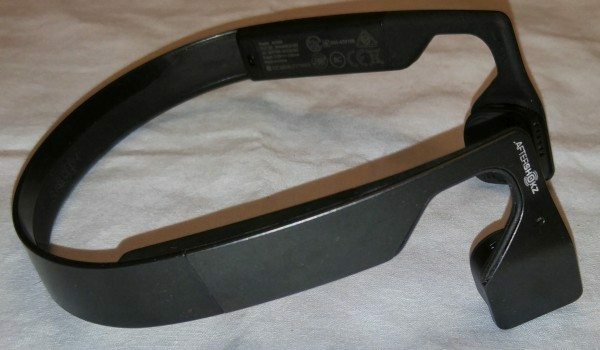 On occasion, the vibrating from the bone conduction would tickle the side of my head. It wasn’t a huge deal, but it was something I have never experienced when using earbuds. 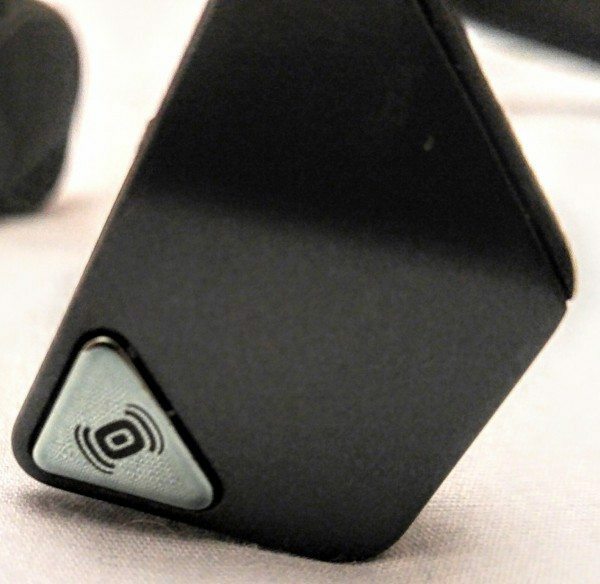 I really like these headphones; it definitely takes a bit of time to get accustomed to the idea of bone conduction, but once you do, these may be the most comfortable headphones you’ll ever wear. There are no earbuds to fall out or cause pain and there are no cords to get caught or tangled. While not exceptional, the sound quality is more than acceptable. I never had difficulty understanding music or audio, just the occasional distortion. Finally, once you get used to it, having your ears free to hear your environment is great. If you are someone who likes to run outside, you never have to worry about not hearing a car coming. For me, I was able to listen to music and hold a conversation with my wife without taking off the headphones. At $99.95 the Bluez 2S aren’t the cheapest Bluetooth headphones, but I believe they are well worth the price. If you are in the market for a pair of headphones, you should definitely consider the Bluez 2S. These have become my go to headphones. I use them a couple times a week to run with. They still sound good and they fit great. I never have to worry about an earbud falling out in the middle of a run. Also, I love the fact I can still hear everything around me. It prevents having a car sneak up on me when I’m running in or near the road. 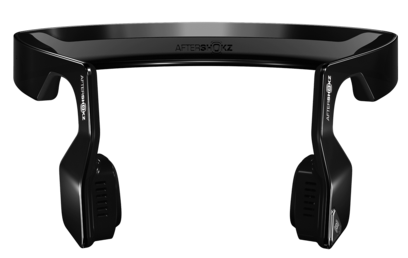 Source: The sample for this review was provided by AfterShokz. Visit their site for more info. 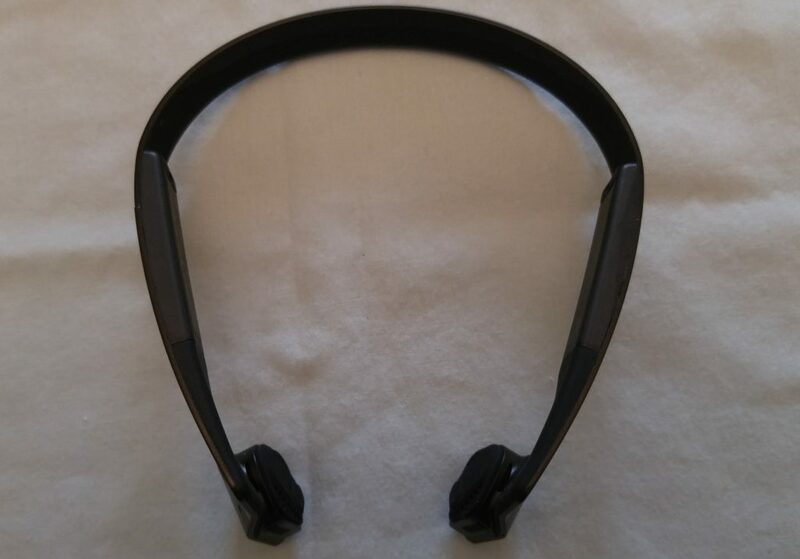 Once again, a headset that can’t be worn with glasses. I’ve not tried them yet, but have seen it reported in several reviews around the web that they work well with glasses. 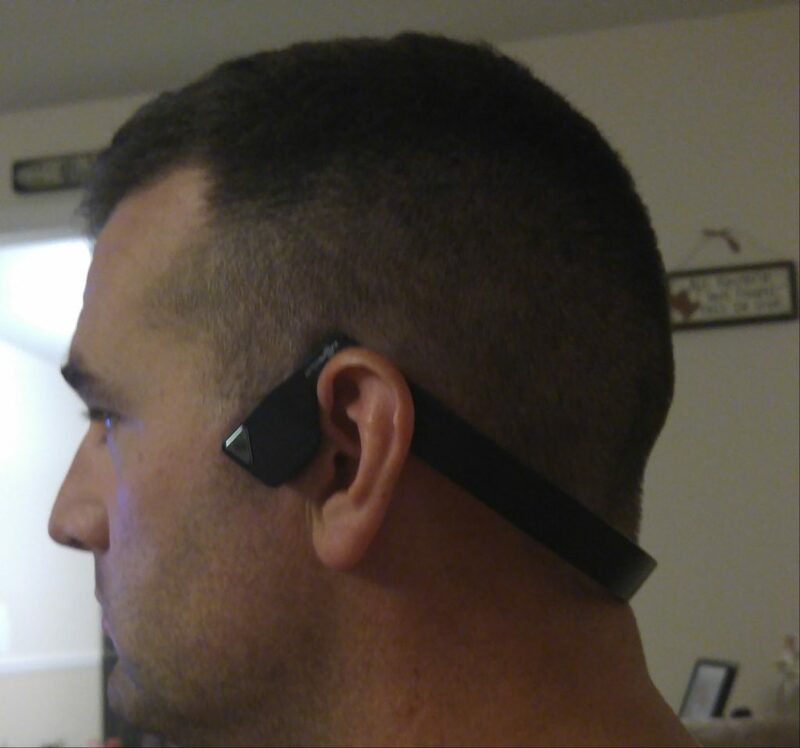 I use Aftershokz while wearing glasses and a hearing aid. No problems. I love them because I can still keep in the hearing aid and hear via both ears due to the bone conduction. I also commonly experience bone pain around the ear (due to numerous ear surgeries) when I have a lot of ‘stuff’ around my ear–and these don’t bother me. 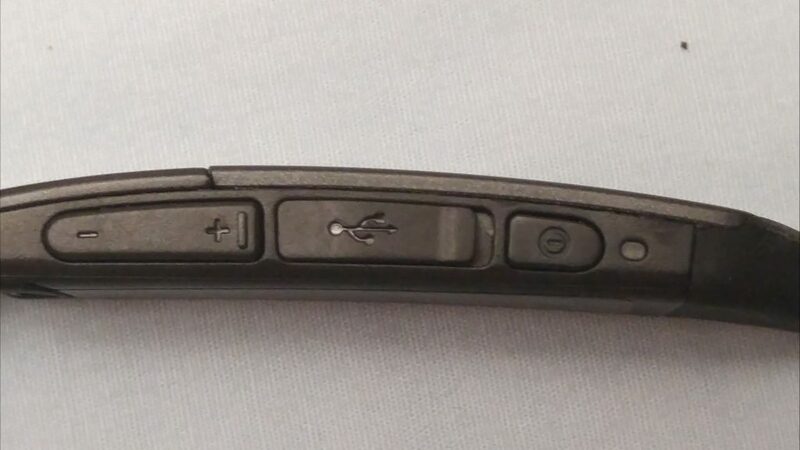 Question… I work as a valet in Vegas and hate using an in ear bluetooth connected to the work provided Motorola bluetooth ptt phones. One I can’t hear traffic out of the ear being used and two, when talking to a customer I have a hard time concentrating on the conversation with just one ear. How will these address the challenges Im having? I’d say these are perfect for valets and drivers. I think they will work great for you. I use them while I run so I can hear traffic approaching me. I’ve had conversations with people while wearing them because my ears aren’t covered an I can hear everything. I think these would work very well for you. Great headphones for sound quality. However, I have problems with the quality of manufacture. The first pair I got started to come apart after a few months. 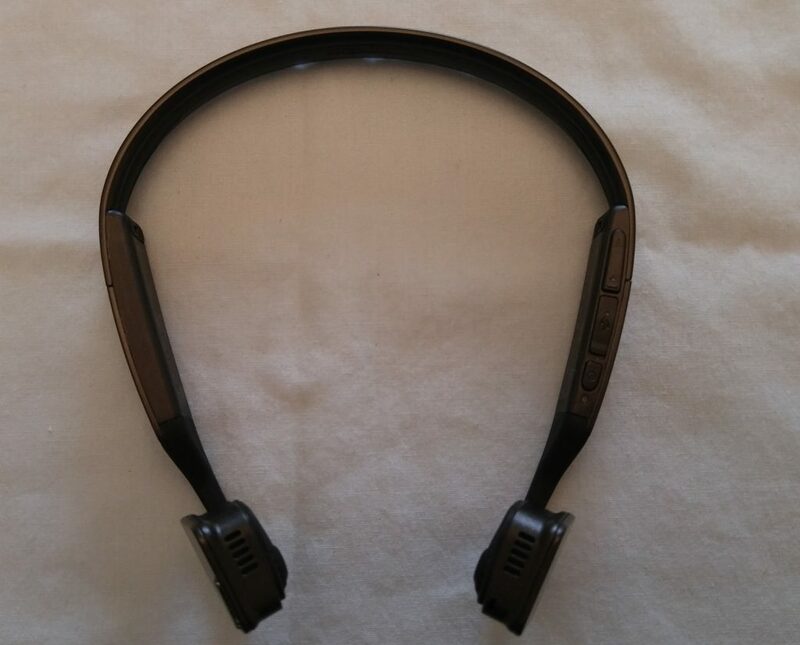 The rubbery strip on the inside of the headband which is meant to hold the wires in came away from the band, exposing the wires. Themain rubber button fell off. They were replaced through the efforts of an Australian supplier but after a few more months the rubber on the new ones is starting to come away. It seems that the glue that is used to hold it together does not appreciate the heat and sweat from the back of my head.